Once upon a time, public relations was a fairly straightforward practice involving press releases, media outreach and crisis management. Those components of the role remain, but PR has grown infinitely more complex. Today’s communications professional must become adept at expanding his or her brand’s reach in bold new ways. This means co-creating content, working with influencers, and understanding the unique values of earned, owned, and shared media. 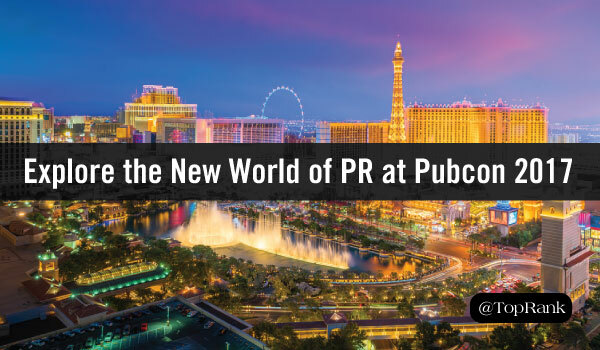 At Pubcon Las Vegas 2017, TopRank Marketing CEO Lee Odden will explore this convergence in his Thursday morning keynote. Drawing from his extensive experience with integrated digital communications, Lee will outline the biggest opportunities that exist right now, and how you can capitalize for maximum impact. We’ll see you Thursday morning!